3" CPVC Threaded Tee | U.S. Plastic Corp. These are hi-temp CPVC schedule 80 threaded pipe fittings. 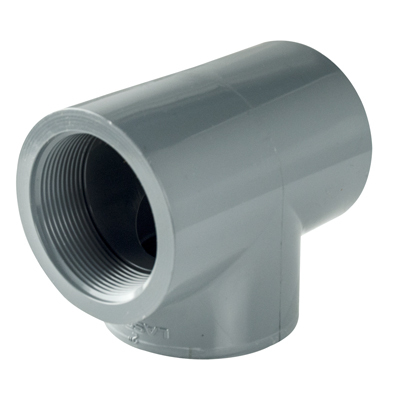 A complete line of fittings are stocked to meet your needs. This CPVC material has comparable corrosion resistance to PVC yet it is suitable for handling corrosive material at temps 40 to 60 deg F higher than PVC. It is NSF listed.